As the uses for desktop 3D printing continue to expand we are constantly being blown away by the creations produced by our customers. This project by Steve Cox of CREATE Education is one of our recent favourites. Currently the University of Sheffield is holding a celebration of the work of Nobel Prize winner, Sir Hans Krebs. Krebs won the Nobel Prize in 1953 for his pioneering work discovering the citric acid cycle, also known as the Krebs cycle. The cycle explains one of the most fundamental processes of life: the conversion of food into energy within a cell. 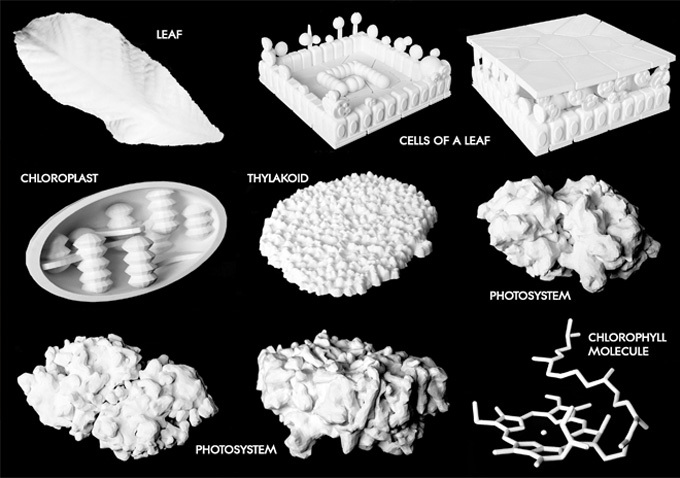 Steve has produced a collection of large scale models for the university that reveal the hidden nano worlds found in the process of photosynthesis. 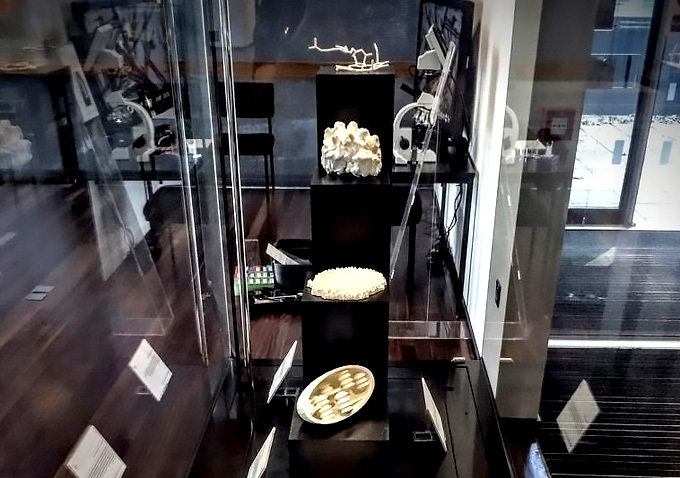 The six impressive large-scale models were all printed in Faberdashery Arctic White PLA. Steve chose to use Arctic White as it is a great colour for exhibition models due to the optical brighteners in the filament. As Steve also pointed out, PLA is itself a product of photosynthesis as it’s produced from biomass (corn starch). You can see Steve’s full round up of this fantastic project on the CREATE Education blog. KrebsFest runs at the University of Sheffield throughout November and is free to everyone. Steve’s prints will be displayed in the Western Bank Library exhibition space until February 2016.